I’ve been experimenting with gel manicures lately as many of you know. Post gel mani, my nails weren’t in the greatest of shape. This is partly my fault because I decided to remove the gel polish on my own (warning: DO NOT attempt to dismantle a gel mani at home) which wasn’t the best idea. 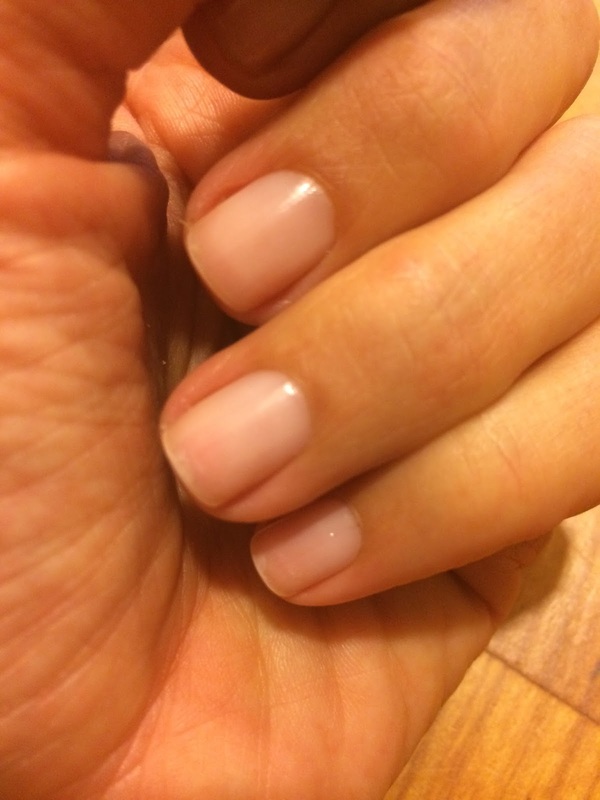 After my experience with a couple of gel manicures, I can say that I am steering clear of them for a while. Although it was great to not have my nail polish chip and to actually have it looking good for about two whole weeks (aaaamazing! ), I don’t think it’s the mani for me on a regular basis. I’ll save it for special occasions or vacation. Admittedly, my nails weren’t in great shape before the gel mani but it definitely didn’t help. So today I decided to go back to the basics and get a good ol’ fashioned manicure. 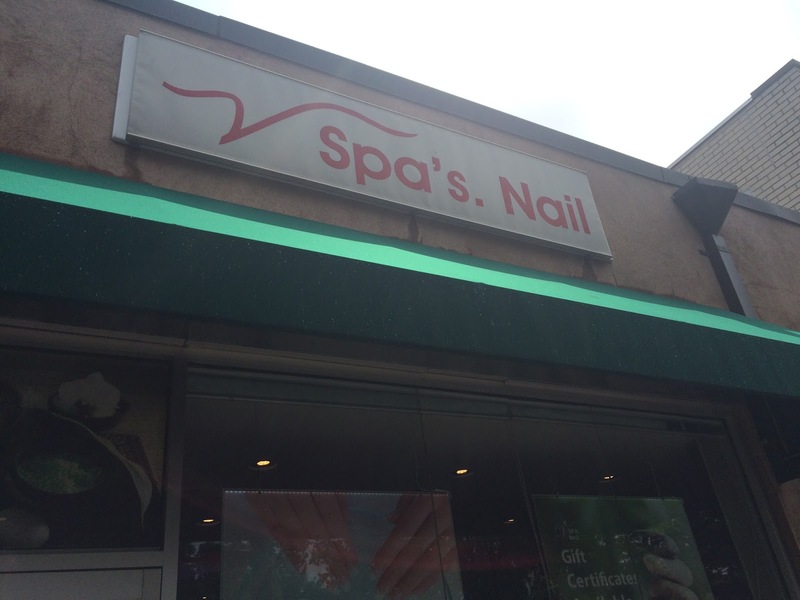 I tried V Spa on Franklin Ave for my no-frills mani. They took me immediately (even though the salon was somewhat busy for a Thursday morning) and every tool they used was either out-of-the-package new or sanitized, which is awesome. I was treated to a great mini shoulder/upper back massage during the mani, which I love. Too often nail salons forget this little perk. The massage was a teeny bit painful at times, but maybe that’s a good thing. I’m sure there were a few knots back there (tension much?) anyway. 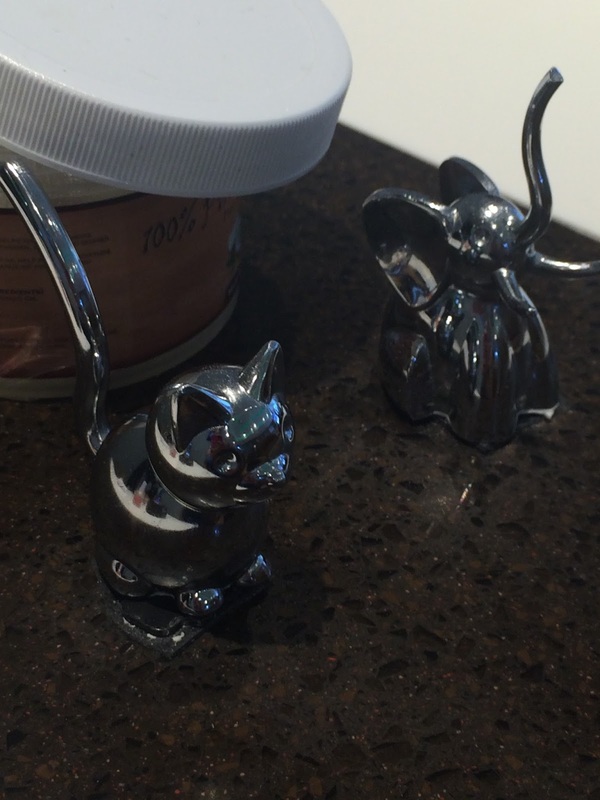 The cute animal ring holders on the manicure tables were a fun touch. My manicurist, Tess, was very nice and seemed well informed. I told her about the current condition of my nails (chipping, peeling, overall weakness) and she recommended a specific nail hardener for me and advised me against using any colored polish today. The hardener was only an additional $1 and I went sans color. Tess told me to monitor my nails’ condition over the next few days to see if things are improving. So I don’t have a fun summer color on my fingers today, but I’m happy that they look clean and healthy. I will go back to V Spa again for a mani and maybe sample some other services. Have you been to V Spa? What did you think? Please follow InsideGardenCity.com on Facebook and Instagram. Thanks for reading!